For anyone who never wants to grow up, this is the perfect costume. 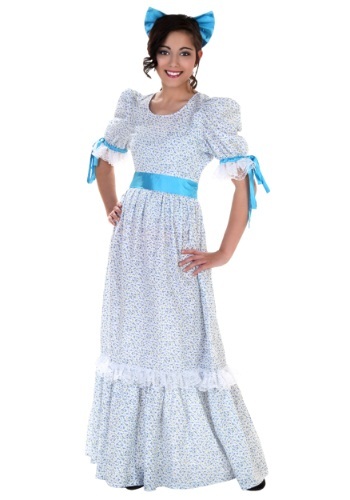 It's an officially licensed Disney costume and has a great look sure to please any fans of the movie! It's a great costume for school plays, Halloween parties, or just anyone who believes in fairies! Swing past the London Tower and pick up Wendy, Rufio, and the Lost Boys gang because you have a pirate to vanquish! Take on Captain Hook while you are wearing this Child Deluxe Peter Pan Costume and throw him to the crocodile because he looks hungry. Pick up a toy sword to help save Wendy, Peter, and John from Captain Hook. Did you know that the word "alligator" means "the lizard?" 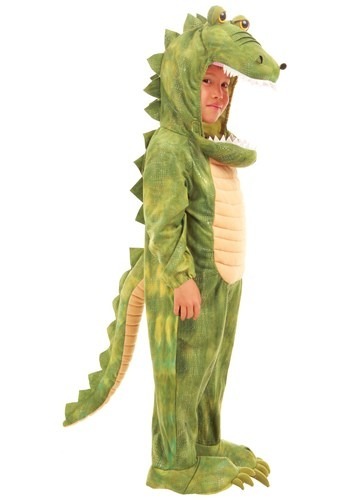 No one will think this large-fanged, clawed-foot reptile is a lizard in this Kids Alligator Costume. But even if they do, just remind them to step back during feeding time. That ain't good form, you know. Why, Captain, that was only a childish prank. 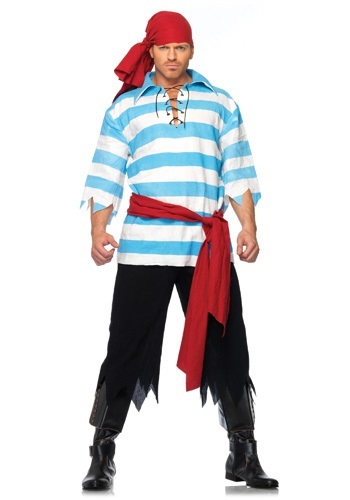 Transform into the most genteel pirate to ever set sails across the high seas in this Mens Pillaging Pirate Costume. You could actually just change your mind and become very ferocious. But we think you'll be more well received as a nice, friendly pirate. So, you say you never want to grow up? You better learn to fly because you have to voyage all the way to Neverland if you want to stay forever young. If you decide to go, be extra careful, because Hook is on the hunt for you! Luckily, you have the help of your trusty friends, the Lost Boys and Tinkerbell! However, there's going to be a time when your friends can't help, so we strongly suggest brushing up on your fencing skills. 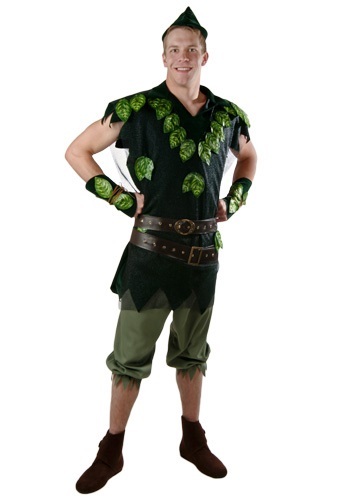 Wearing this Peter Pan Classic Adult Plus Size Costume will allow you to be comfortable while you sword fight the one and only Captain Hook. Some things are much tougher to do with a hook. Playing piano? Picking up just about anything? Writing with your pen? Now, if you're trying to take down that certain boy in green tights, then your hook will come in handy. 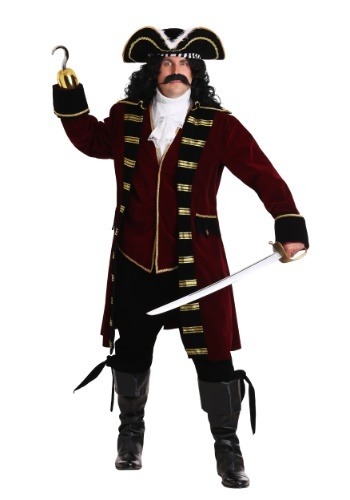 You can experience the triumphs and the difficulties of having a hook for a hand when you go in our Plus Sized Deluxe Captain Hook Costume! Just be sure to watch where you're swinging your arms or you might give someone an unexpected jolt to the rear end! He's the boy who never grew up, and everyone here at Halloweencostumes.com can really relate to that. None of us want to grow up, either! Our Plus Size Peter Pan costume will transform you into the ageless storybook character that loves to fight, fly, and crow. But not only is it Peter Pan, it could be lots of other things as well. For instance, if you just want it for some kind of woodsy camouflage, that should work; or, if you're just a big peanut butter enthusiast, this is also perfect to show that. See, tons of uses here! But in case you want to stick with the original, we must warn you that it doesn't come with Pixie dust. We ran out a long time ago... if you see Tink, let her know! Wear this Plus Size Wendy Costume and think lovely, wonderful thoughts. That's all you need to do to take a trip on the wings of your imagination to Neverland. Become a mother to Peter Pan and the Lost Boys. Do it for a costume party, or a play. Or just for fun. Then if you decide that you want to grow up, after all, simply take off the costume. 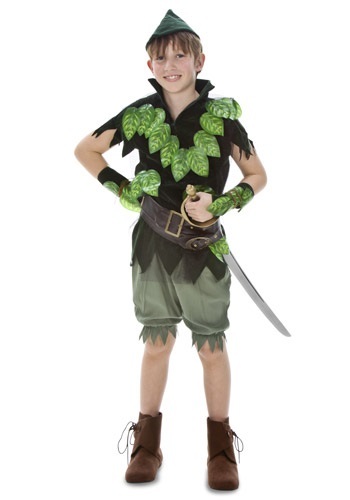 The lost boys will be hanging on your every word when you wear this Sassy Peter Pan Costume! It is quite short, so you may want to add hot pants underneath for full coverage. You'll definitely want to add our brown boots for a dashing look. Don't let Captain Hook and Smee spoil your Halloween fun! Everyone was young once, and that even includes all the Disney Villains like Captain Hook! Your little guy may just grow up to captain the Jolly Roger and go after that insufferable Peter Pan and his Lost Boys when he goes in this Toddler Captain Hook Costume! Just beware the TIK-TOK of the crocodile. We normally don't encourage children to choose "pirate" as their career path, but when it comes to Jake and the Neverland Pirates, we give it the A-OK! The Disney Junior show is wildly successful thanks to bright and colorful animation, engaging stories, and infectious songs (Captain Bogg and Salty have been stuck in our heads way more than we'd like to admit). You've likely seen your child parked in front of the TV watching this delightful show, so she's sure to love going in our Toddler Izzy Deluxe Costume. She'll be saying, "Yay hey, no way!" all Halloween (and don't be surprised if that gets stuck in your head, too! ).